Following the success of previous events, our next AGM and Members’ Meet-up will be hosted at our eco-build office in Silsden, West Yorkshire on Saturday 27 April 2019. As well as the formal AGM business, we’ll have inspiring speakers on topical sustainability and housing issues. 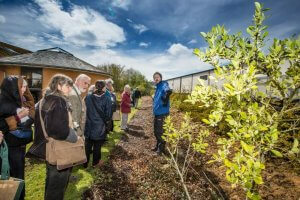 Members will also be able to explore our permaculture gardens and tour our eco-build offices. We look forward to welcoming you to Ecology’s home for our flagship member event and will be sending out further details on how you can join us early next year.